Planning for decking in Shropshire for the summer is a great way to beat those post-Christmas blues. Keeping your mind focussed and setting attainable goals is what January is all about and we thought we’d share some great ideas for decking in Shropshire to get your creative juices flowing. 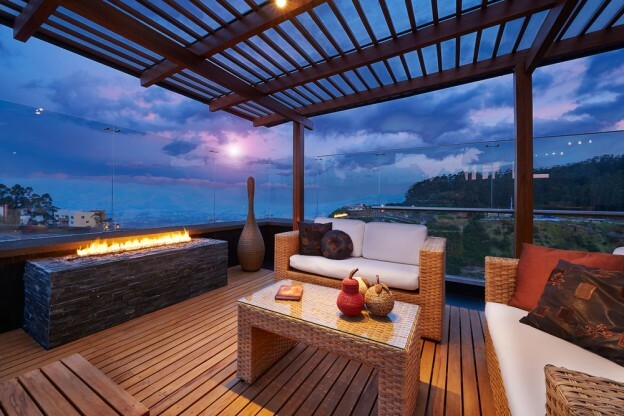 There are three different levels you can have your decking installed at; with each suiting a unique design aesthetic as well as differing budgets. Ground level decking is the most popular type as it’s the most straightforward to install as well as being a great alternative to a patio. Raised decking often appeals to families with a sloped or split landscape as it can give you spectacular views of your garden. Multi-level decking is a premium option we offer at Weston Sawmill, as it can completely change the look of your garden and transform it into an entertainment or hosting area in the summer. Because of the multi-levels you can choose to have a seating area in one level and then perhaps a barbeque or hot tub in another; the choice is yours! Here at Weston Sawmill we only use the finest materials to construct our decking in Shropshire, to make sure our products can bring your ideas to life. For over 25 years Weston Sawmill has been providing the highest quality of decking in Shropshire, so contact us today to talk us through your requirements. Our friendly team can offer you a free no obligation quote. This entry was posted in Weston Sawmill and Nursery and tagged decking in Shropshire on January 3, 2019 by admin.